The Universal Seduction: .33 CONSPIR-ACY THEORIES THAT TURN-ED OUT TO BE TRUE . 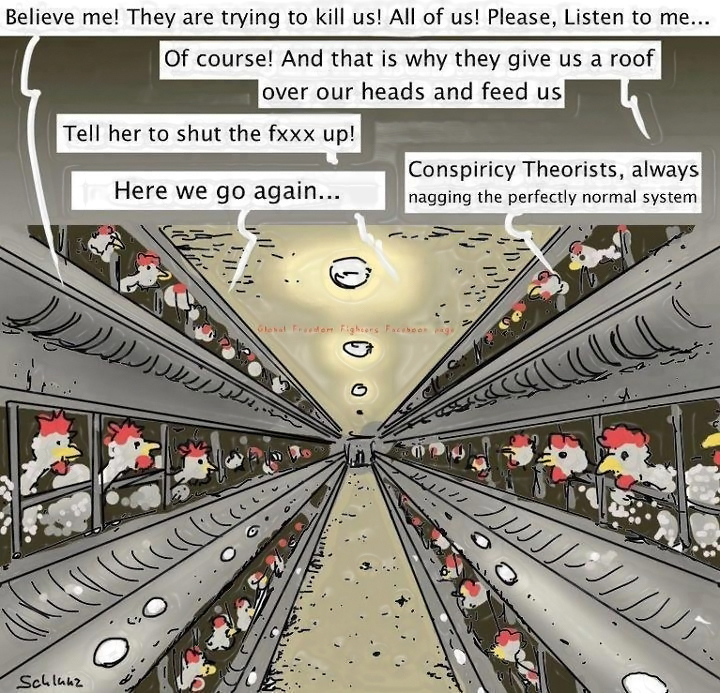 . .
. . .You May Call Me A Conspiracy Theorist If I May Call You A Coincidence Theorist. . .Most people can’t resist getting the details on the latest conspiracy theories, no matter how far-fetched they may seem. At the same time, many people quickly denounce any conspiracy theory as untrue … and sometimes as unpatriotic or just plain ridiculous.Lets not forget all of the thousands of conspiracies out of Wall Street like Bernie Madoff and many others to commit fraud and extortion, among many crimes of conspiracy.USA Today reports that over 75% of personal ads in the paper and on craigslist are married couples posing as single for a one night affair.When someone knocks on your door to sell you a set of knives or phone cards, anything for that matter, do they have a profit motive? What is conspiracy other than just a scary way of saying “alternative agenda”? When 2 friends go to a bar and begin to plan their wingman approach on 2 girls they see at the bar, how often are they planning on lying to those girls? “I own a small business and am in town for a short while. Oh yeah, you look beautiful.”.Conspiracy theory is a term that originally was a neutral descriptor for any claim of civil, criminal or political conspiracy. However, it has come almost exclusively to refer to any fringe theory which explains a historical or current event as the result of a secret plot by conspirators of almost superhuman power and cunning. 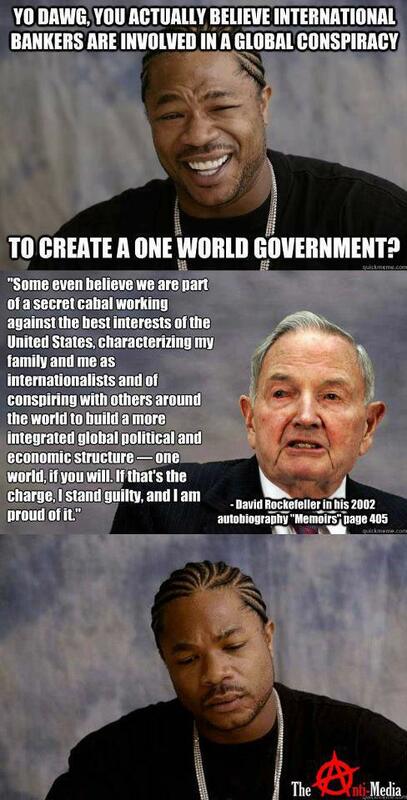 UNITED STATES UNDER ATTACK BY THE INTERNATIONAL BANKING CARTEL ~ DAVID CARRADINE, RUSSO, 2PAC, LEDGER, LEE, & JACKSON, MURDERED. 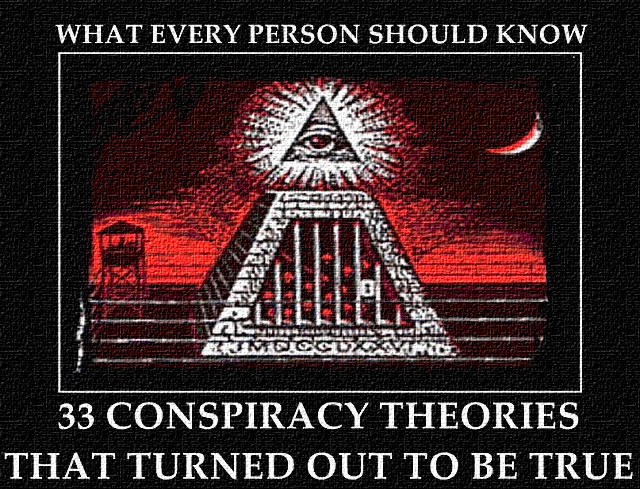 The term “conspiracy theory” is frequently used by scholars and in popular culture to identify secret military, banking, or political actions aimed at stealing power, money, or freedom, from “the people”.To many, conspiracy theories are just human nature. Not all people in this world are honest, hard working and forthcoming about their intentions. 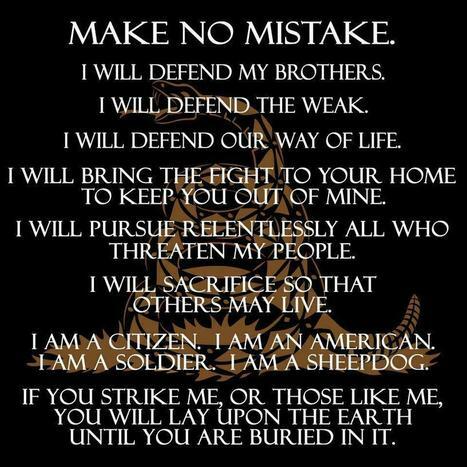 Certainly we can all agree on this. So how did the term “conspiracy theory” get grouped in with fiction, fantasy and folklore? Maybe that’s a conspiracy, just kidding. Or am I?Skeptics are important in achieving an objective view of reality, however, skeptism is not the same as reinforcing the official storyline. In fact, a conspiracy theory can be argued as an alternative to the official or “mainstream” story of events. Therefore, when skeptics attempt to ridicule a conspiracy theory by using the official story as a means of proving the conspiracy wrong, in effect, they are just reinforcing the original “mainstream” view of history, and actually not being skeptical. This is not skeptism, it is just a convenient way for the establishment view of things to be seen as the correct version, all the time, every time. In fact, it is common for “hit pieces” or “debunking articles” to pick extremely fringe and not very populated conspiracy theories. This in turn makes all conspiracies on a subject matter look crazy. Skeptics magazine and Popular Mechanics, among many others, did this with 9/11. They referred to less than 10% of the many different conspiracy theories about 9/11 and picked the less popular ones, in fact, they picked the fringe, highly improbable points that only a few people make. This was used as the “final investigation” for looking into the conspiracy theories. Convenient, huh?In fact, if one were to look into conspiracy theories, they will largely find that thinking about a conspiracy is associated with lunacy and paranoia. Some websites suggest it as an illness. It is also not surprising to see so many people on the internet writing about conspiracy theories in a condescending tone, usually with the words “kool-aid,” “crack pot,” or “nut job” in their articulation.This must be obvious to anyone that emotionally writing about such serious matter insults the reader more than the conspiracy theorist because there is no need to resort to this kind of behavior. It is employed often with an “expert” who will say something along the lines of, “for these conspiracies to be true, you would need hundreds if not thousands of people to be involved. It’s just not conceivable.”I find it extremely odd that the assumption is on thousands of participants in a conspiracy. I, for one, find it hard to believe any conspiracy involving more than a handful of people but the fact remains that there have been conspiracies in our world, proven and not made up, that involved many hundreds of people. It’s not a matter of opinion, it’s a matter of fact.One more thing to consider, have you noticed that if the conspiracy is involving powerful interests with the ability to bribe, threaten or manipulate major institutions (like the mafia, big corporations or government) then don’t you find it odd when people use one of those as the “credible” counter-argument?What I mean is, if you are discussing a conspiracy about the mafia, and someone hands you a debunking article that was written by the mafia, it doesn’t seem like it would take rocket science to look at that with serious criticism and credibility. POPE FRANCIS TO MAFIA: “CHANGE, YOU STILL HAVE TIME TO NOT END UP IN HELL. THAT IS WHAT AWAITS YOU, IF YOU CONTINUE DOWN THIS PATH. This is the case with many conspiracies. In fact, I am handed debunking pieces all the time written in many cases by the conspirators in question. Doesn’t this seem odd to anybody else but me?While intelligent cynicism certainly can be healthy, though, some of the greatest discoveries of all time were initially received (often with great vitriol) as blasphemous conspiracy theories — think of the revelation that the earth was not the center of the universe, or that the world was not flat but actually round. 1.The Dreyfus Affair: In the late 1800s in France, Jewish artillery officer Alfred Dreyfus was wrongfully convicted of treason based on false government documents, and sentenced to life in prison. The French government did attempt to cover this up, but Dreyfus was eventually pardoned after the affair was made public (an act that is credited to writer Émile Zola). 2.The Mafia: This secret crime society was virtually unknown until the 1960s, when member Joe Valachi first revealed the society’s secrets to law enforcement officials. What was known was that organized crime existed, but not that the extent of their control included working with the CIA, politicians and the biggest businesses in the world. 3.MK-ULTRA: In the 1950s to the 1970s, the CIA ran a mind-control project aimed at finding a “truth serum” to use on communist spies. Test subjects were given LSD and other drugs, often without consent, and some were tortured. At least one man, civilian biochemist Frank Olson, who was working for the government, died as a result of the experiments. The project was finally exposed after investigations by the Rockefeller Commission.A short video about MK-ULTRA from a documentary called Secrets of the CIA: 4.Operation Mockingbird: Also in the 1950s to ’70s, the CIA paid a number of well-known domestic and foreign journalists (from big-name media outlets like Time, The Washington Post, The New York Times, CBS and others) to publish CIA propaganda. The CIA also reportedly funded at least one movie, the animated “Animal Farm,” by George Orwell. The Church Committee finally exposed the activities in 1975. 5.Manhattan Project: The Manhattan Project was the codename for a project conducted during World War II to develop the first atomic bomb. 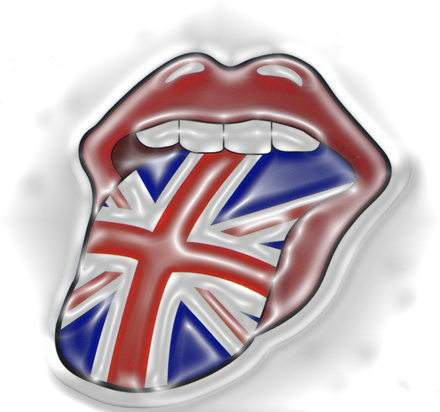 The project was led by the United States, and included participation from the United Kingdom and Canada. Formally designated as the Manhattan Engineer District (MED), it refers specifically to the period of the project from 1942–1946 under the control of the U.S. Army Corps of Engineers, under the administration of General Leslie R. Groves.The scientific research was directed by American physicist J. Robert Oppenheimer. The project’s roots lay in scientists’ fears since the 1930s that Nazi Germany was also investigating nuclear weapons of its own. Born out of a small research program in 1939, the Manhattan Project eventually employed more than 130,000 people and cost nearly US$2 billion ($22 billion in current value).It resulted in the creation of multiple production and research sites that operated in secret. With the total involved, this makes it one of the largest conspiracies in history. Entire towns were built for short periods of time, employing people, all under secrecy and top national secrecy at that. The government never admitted to it, the media never reported on it, and people had no idea for over 25 years.Project research took place at over thirty sites across the United States, Canada, and the United Kingdom. The three primary research and production sites of the project were the plutonium-production facility at what is now the Hanford Site, the uranium-enrichment facilities at Oak Ridge, Tennessee, and the weapons research and design laboratory now known as Los Alamos National Laboratory. The MED maintained control over U.S. weapons production until the formation of the Atomic Energy Commission in January 1947. 12.The Iran-Contra Affair: In 1985 and ’86, the White House authorized government officials to secretly trade weapons with the Israeli government in exchange for the release of U.S. hostages in Iran. The plot was uncovered by Congress in 1987. 14.CIA Drug Running in LA: Pulitzer Prize Award winning journalist Gary Webb exposed this alongside LAPD Narcotics Officer turned whislteblower and author Michael Ruppert, CIA Contract Pilot Terry Reed, and many others. In August 1996 the San Jose Mercury News published Webb’s “Dark Alliance”, a 20,000 word, three-part investigative series which alleged that Nicaraguan drug traffickers had sold and distributed crack cocaine in Los Angeles during the 1980s, and that drug profits were used to fund the CIA-supported Nicaraguan Contras. 15.Gulf of Tonkin Never Happened: The Gulf of Tonkin Incident is the name given to two separate incidents involving the Democratic Republic of Vietnam and the United States in the waters of the Gulf of Tonkin. On August 2, 1964 two American destroyers engaged three North Vietnamese torpedo boats, resulting in the sinking of one of the torpedo boats. This was also the single most important reason for the escalation of the Vietnam War. After Kennedy was assassinated, the Gulf of Tonkin gave the country the sweeping support for aggressive military action against the North Vietnamese. The outcome of the incident was the passage by Congress of the Gulf of Tonkin Resolution, which granted President Lyndon B. Johnson the authority to assist any Southeast Asian country whose government was considered to be jeopardized by “communist aggression”.In 2005, an internal National Security Agency historical study was declassified; it concluded that USS Maddox had engaged the North Vietnamese on August 2, but that there may not have been any North Vietnamese vessels present during the engagement of August 4. The report stated “It is not simply that there is a different story as to what happened; it is that no attack happened that night…”In truth, Hanoi’s navy was engaged in nothing that night but the salvage of two of the boats damaged on August 2. In 1965, President Johnson commented privately: “For all I know, our Navy was shooting at whales out there.” In 1981, Captain Herrick and journalist Robert Scheer re-examined Herrick’s ship’s log and determined that the first torpedo report from August 4, which Herrick had maintained had occurred—the “apparent ambush”—was in fact unfounded.In 1995, retired Vietnamese Defense Minister Vo Nguyen Giap, meeting with former Secretary of Defense McNamara, categorically denied that Vietnamese gunboats had attacked American destroyers on August 4, while admitting to the attack on August 2.In the Fall of 1999, retired senior CIA engineering executive S. Eugene Poteat wrote that he was asked in early August 1964 to determine if the radar operator’s report showed a real torpedo boat attack or an imagined one. 16.The Business Plot: In 1933, group of wealthy businessmen that allegedly included the heads of Chase Bank, GM, Goodyear, Standard Oil, the DuPont family and Senator Prescott Bush tried to recruit Marine Corps Major General Smedley Butler to lead a military coup against President FDR and install a fascist dictatorship in the United States.And yes, we’re talking about the same Prescott Bush who fathered one US President and grandfathered another one. Smedley Butler was both a patriot and a vocal FDR supporter. Apparently none of these criminal masterminds noticed that their prospective point man had actively stumped for FDR in 1932. Smedley spilled the beans to a congressional committee in 1934.Everyone he accused of being a conspirator vehemently denied it, and none of them were brought up on criminal charges. Still, the House McCormack-Dickstein Committee did at least acknowledge the existence of the conspiracy, which ended up never getting past the initial planning stages. Though many of the people who had allegedly backed the Business Plot also maintained financial ties with Nazi Germany up through America’s entry into World War II.In 1934, the Business Plot was publicly revealed by retired Marine Corps Major General Smedley Butler testifying to the McCormack-Dickstein Congressional Committee. In his testimony, Butler claimed that a group of men had approached him as part of a plot to overthrow Roosevelt in a military coup. One of the alleged plotters, Gerald MacGuire, vehemently denied any such plot. In their final report, the Congressional committee supported Butler’s allegations of the existence of the plot, but no prosecutions or further investigations followed, and the matter was mostly forgotten. On July 17, 1932, thousands of World War I veterans converged on Washington, D.C., set up tent camps, and demanded immediate payment of bonuses due them according to the Adjusted Service Certificate Law of 1924. This “Bonus Army” was led by Walter W. Waters, a former Army sergeant. The Army was encouraged by an appearance from retired Marine Corps Major General Smedley Butler, who had considerable influence over the veterans, being one of the most popular military figures of the time.A few days after Butler’s arrival, President Herbert Hoover ordered the marchers removed, and their camps were destroyed by US Army cavalry troops under the command of General Douglas MacArthur. 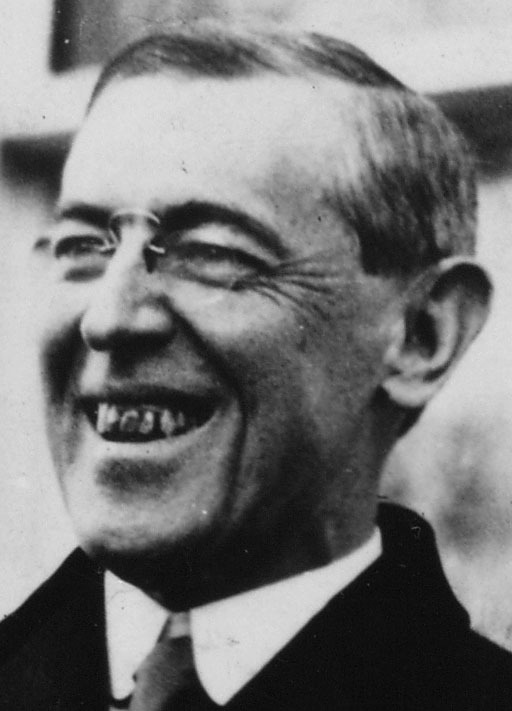 Butler, although a self-described Republican, responded by supporting Roosevelt in that year’s election. In a 1995 History Today article Clayton Cramer argued that the devastation of the Great Depression had caused many Americans to question the foundations of liberal democracy. Cramer argues that this explains why some American business leaders viewed fascism as a viable system to both preserve their interests and end the economic woes of the Depression.BBC – Whitehouse Coup (Part 1)For Part 2, click here.For Part 3 click here. 17.July 20, 1944 Conspiracy to Assassinate Hitler: Among another 20 some odd attempts, this one was one of the largest conspiracies involving hundreds of loyalists in the highest echelons of Hitler’s inner circle. Near the end of WWII, things were rapidly going south for Germany and the time seemed ripe for guilt-ridden Nazi officers to assassinate Hitler and overthrow his government.Colonel Henning von Tresckow recruited Colonel Claus von Stauffenberg to join the conspiracy in 1944. The plot to take out Hitler and then all of his loyal officers was called Operation Valkyrie. The plan was to use the Continuity of Government Proceedings during an assassination on Hitler’s life to take over full control of the government in Germany.The assassination would be blamed on the Nazi SS and therefore allow Stauffenberg to take full control of all aspects of the government. It almost worked. In July 1944, Stauffenberg was promoted so that he could now start attending military strategy meetings with Hitler himself. On more than one occasion Stauffenberg planned to kill Hitler at such a meeting with a briefcase bomb, but he always held off because he also wanted to take out Hitler’s two right-hand men, Hermann Goering and Heinrich Himmler. 18.Operation Ajax: For years, Britain had a spiffy trade deal with Iran regarding their prodigious oil fields. The Anglo-Iranian Oil Company was basically a giant money machine for the Anglo half, while the Iranian half got shafted. That all changed in 1951 when Iran nationalized the AIOC and the Iranian parliament elected Mohammed Mossadegh as Prime Minister. Mossadegh was relatively secular, something that pissed of Iranian clerics, but he was also very nationalistic. The United States backed the return of the Shah of Iran, one of the most brutal dictators the country had ever seen and intentionally overthrew years before with the democratic leader, Mossadegh. Until 1979, that is, when a pissed off Iranian populace finally revolted and replaced the monarchy with an anti-West Islamic Republic. 19.Operation Snow White: Some time during the 1970s, the Church of Scientology decided that they’d had enough. Apparently, the Church of Scientology managed to perform the largest infiltration of the United States government in history. Ever. 5,000 of Scientology’s crack commandos wiretapped and burglarized various agencies. They stole hundreds of documents, mainly from the IRS. No critic was spared, and in the end, 136 organizations, agencies and foreign embassies were infiltrated. 20.Operation Gladio: Gladio is a code name denoting the clandestine NATO “stay-behind” operation in Italy after World War II, intended to continue anti-communist resistance in the event of a Warsaw Pact invasion of Western Europe. Although Gladio specifically refers to the Italian branch of the NATO stay-behind organizations, “Operation Gladio” is used as an informal name for all stay-behind organizations, sometimes called “Super NATO”. 21.The CIA Assassinates A Lot Of People (Church Committee): The Church Committee is the common term referring to the United States Senate Select Committee to Study Governmental Operations with Respect to Intelligence Activities, a U.S. Senate committee chaired by Senator Frank Church in 1975. Assassinations against Central and South American leaders and revolutionaries, as well as Africa, Middle East and East Asia. The list was tremendous. They even declassified a “Heart Attack Gun” the Agency had made for the use of killing someone without it being detected. Cancer, car accidents, skiing accidents, suicide, boating accidents, heart attacks, and just plain being shot were common assassination methods. The hearings, although recorded in full in congressional record, the mainstream media and official policies, is still largely not taught in American schools on recent history. The American public still has no idea this was ever actually confirmed or even took place. It is common for people to still refer to any of these assassinations as a joke or made up conspiracy.To watch the revealing 45-minute documentary click here 22.The New World Order: This popular conspiracy theory claims that a small group of international elites controls and manipulates governments, industry and media organisations worldwide. 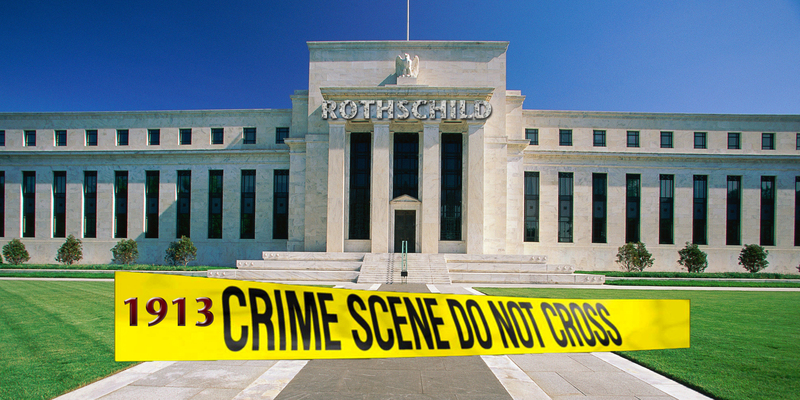 The primary tool they use to dominate nations is the system of central banking. They are said to have funded and in some cases caused most of the major wars of the last 200 years, primarily through carrying out false flag attacks to manipulate populations into supporting them, and have a grip on the world economy, deliberately causing inflation and depressions at will. 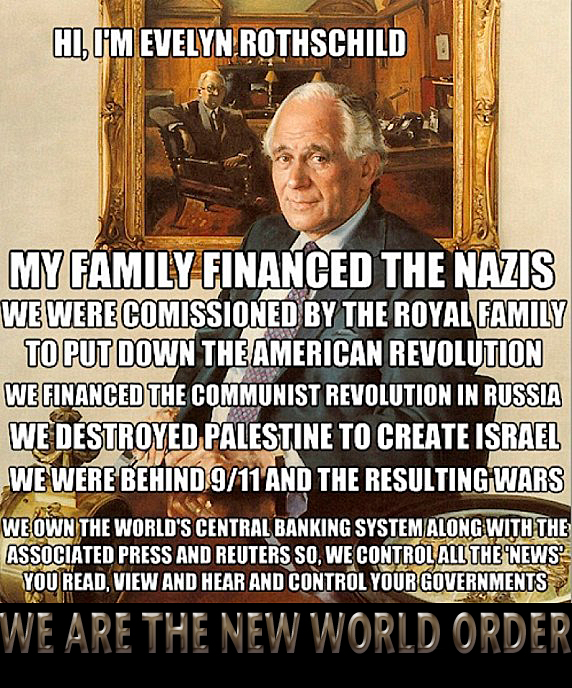 The people behind the New World Order are thought to be international bankers, in particular the owners of the private banks in the Federal Reserve System, Bank of England and other central banks, and members of the Council on Foreign Relations, Trilateral Commission and Bilderberg Group. Now, although this conspiracy theory was ridiculed for years, it turns out that the Bilderberg does meet and requests no media coverage. They receive no media coverage. The world’s elite meet every year and it goes largely unreported, for what? [efoods]Discussions at the meetings include the economy, world affairs, war and in general, world policy. After the financial collapse, the Bilderberg played a key role in proposing that the world prepare for a new world order and have a standard world currency.This was propsed shortly after by almost all attendees of the Bilderberg meeting. During the 20th century, many statesmen, such as Woodrow Wilson and Winston Churchill, used the term “new world order” to refer to a new period of history evidencing a dramatic change in world political thought and the balance of power after World War I and World War II. They all saw these periods as opportunities to implement idealistic or liberal proposals for global governance only in the sense of new collective efforts to identify, understand, or address worldwide problems that go beyond the capacity of individual nation-states to solve.. 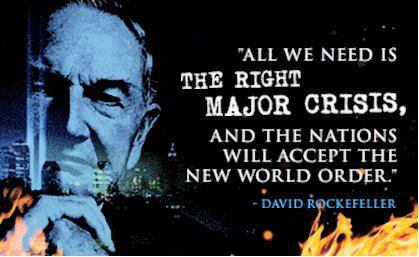 Thus, activists around the globe formed a world federalist movement bent on creating a “real” new world order. A number of Fabian socialist intellectuals, such as British writer H. G. Wells in the 1940s, appropriated and redefined the term “new world order” as a synonym for the establishment of a full-fledged social democratic world government. In the 1960s, a great deal of right-wing conspiracist attention, by groups like the John Birch Society and the Liberty Lobby, focused on the United Nations as the vehicle for creating the “One World Government”, and contributed to a conservative movement for United States withdrawal from the U.N.. American writer Mary M. Davison, in her 1966 booklet The Profound Revolution, traced the alleged New World Order conspiracy to the creation of the U.S. Federal Reserve System in 1913 by international bankers, who she claimed later formed the Council on Foreign Relations in 1921 as the shadow government. At the time the booklet was published, “international bankers” would have been interpreted by many readers as a reference to a postulated “international Jewish banking conspiracy” masterminded by the Rothschilds and Rockefellers.American televangelist Pat Robertson with his 1991 best-selling book The New World Order became the most prominent Christian popularizer of conspiracy theories about recent American history as a theater in which Wall Street, the Federal Reserve System, Council on Foreign Relations, Bilderberg Group, and Trilateral Commission control the flow of events from behind the scenes, nudging us constantly and covertly in the direction of world government for the Antichrist. After the turn of the century, specifically during the financial crisis of 2007–2009, many politicians and pundits, such as Gordon Brown, Henry Kissinger, and Barack Obama, used the term “new world order” in their advocacy for a Keynesian reform of the global financial system [aka; crony capitalism] and their calls for a “New Bretton Woods”, which takes into account emerging markets such as China and India. 23.Kennedy Assassination – the 2nd Investigation by Congress Few People Know About, United States House of Representatives Select Committee on Assassinations (HSCA): The HSCA was established in 1976 to investigate the John F. Kennedy assassination and the Martin Luther King, Jr. assassination. The Committee investigated until 1978, and in 1979 issued its final report, concluding that President John F. Kennedy was probably assassinated by a conspiracy involving the mob, and potentially the CIA.The House Select Committee on Assassinations undertook reinvestigations of the murders of John F. Kennedy and Martin Luther King, Jr. In 1979, a single Report and twelve volumes of appendices on each assassination were published by the Congress. What made them come to this conclusion? Aside from reading the report, many witnesses (some of whom were CIA agents and station chiefs in Dallas that morning) were killed the night before testifying. For example, George de Mohrenschildt was a petroleum geologist who befriended Lee Harvey Oswald during the months preceding the assassination of U.S. President John F. Kennedy. He also worked for the CIA. He also blew his brains out the night before he was to testify to the committee.The committee also uncovered, among many things, that Oswald left the marines where he learned how to speak fluent Russian (at the height of the cold war). He was given money by the State Department to travel to Russia where he stopped off in Japan at a top secret US Military facility. 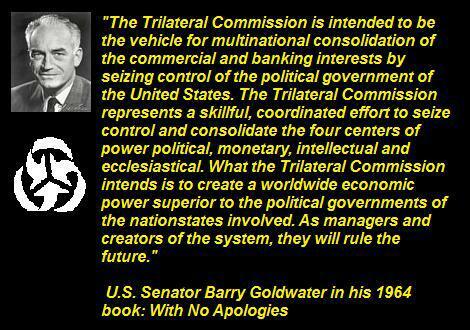 The Warren Commission even mentioned this part. 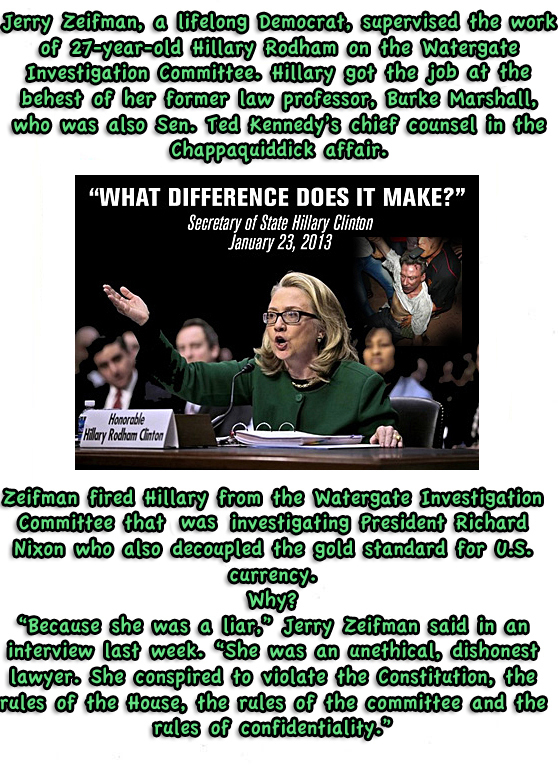 What most people do not know is that he probably was working in the Cold War infiltrating the Russians as either a “dangle,” “double agent,” or “defector” of some kind.What is interesting is that upon his return he got more money from the State Department to buy a house and work with an ex FBI Chief and CIA officials in training anti-Castro Cubans for an invasion. 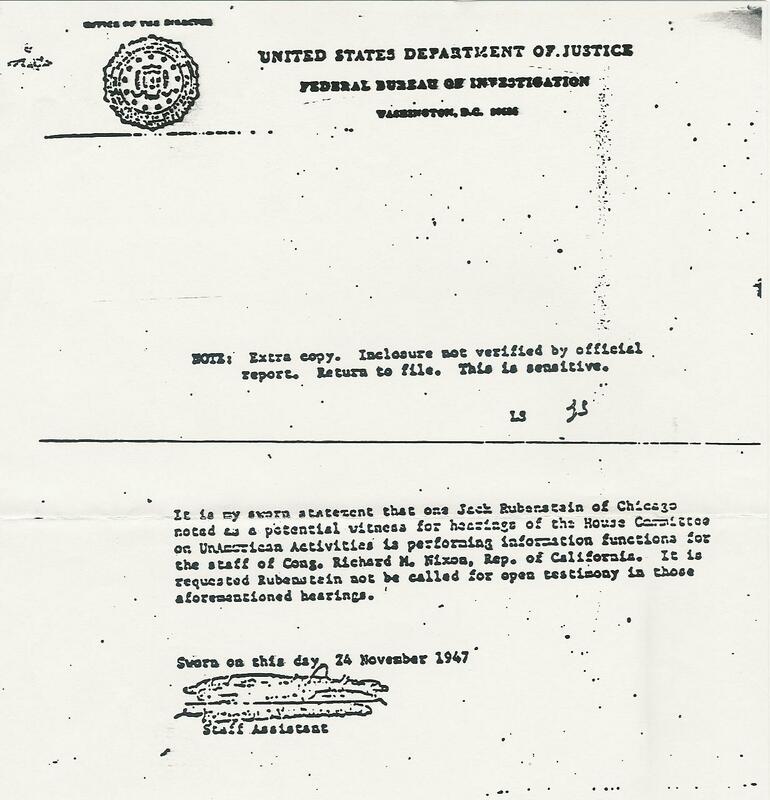 In Louisiana, where he was working, the CIA was involved in Operation Mongoose, Where Oswald worked under CIA Agent David Ferrie, who killed himself before testifying in a trial on the Assassination as well.Operation Mongoose worked closely with Southern Mafia figures largely because the casinos in Cuba, which were shut down after Fidel obtained control over the country, were epicenters for control on the island. The CIA even hired the mafia to assassinate Fidel on many occasions, 3 attempts which failed are common knowledge.What is funny is that figures who worked very close with Oswald either ended up dead (over 100 of them connected to the assassination died within a few years of unusual circumstances) or they ended up in other conspiracies.For instance, E Howard Hunt (CIA Agent) confessed to being involved in the conspiracy to assassinate Kennedy on his deathbed. E Howard Hunt was one of the Watergate Burglars. Barry Seal, who worked with Oswald and Ferrie ended up being one of the largest cocaine smugglers in the United States during Iran Contra, as a key player for the agency and informant for the DEA. 24.1919 World Series Conspiracy: The 1919 World Series (often referred to as the Black Sox Scandal) resulted in the most famous scandal in baseball history. Eight players from the Chicago White Sox (nicknamed the Black Sox) were accused of throwing the series against the Cincinnati Reds. Details of the scandal remain controversial, and the extent to which each player was involved varied. It was, however, front-page news across the country when the story was uncovered late in the 1920 season, and despite being acquitted of criminal charges (throwing baseball games was technically not a crime), the eight players were banned from organized baseball (i.e. the leagues subject to the National Agreement) for life. There are hundreds of other conspiracies involving throwing games, sporting matches and large scale entertainment events. It is common knowledge for many, this list would have to go into the thousands if we included all of them.25.Karen Silkwood: Karen was an American labor union activist and chemical technician at the Kerr-McGee plant near Crescent, Oklahoma, United States. Silkwood’s job was making plutonium pellets for nuclear reactor fuel rods. After being hired at Kerr-McGee, Silkwood joined the Oil, Chemical & Atomic Workers Union local and took part in a strike at the plant.After the strike ended, she was elected to the union’s bargaining committee and assigned to investigate health and safety issues. She discovered what she believed to be numerous violations of health regulations, including exposure of workers to contamination, faulty respiratory equipment and improper storage of samples. She also believed the lack of sufficient shower facilities could increase the risk of employee contamination.In the summer of 1974, Silkwood testified to the Atomic Energy Commission (AEC) about these issues, alleging that safety standards had slipped because of a production speedup which resulted in employees being given tasks for which they were poorly trained. She also alleged that Kerr-McGee employees handled the fuel rods improperly and that the company falsified inspection records. On November 5, 1974, Silkwood performed a routine self-check and found almost 400 times the legal limit for plutonium contamination. She was decontaminated at the plant and sent home with a testing kit to collect urine and feces for further analysis. Oddly, though there was plutonium on the exterior surfaces (the ones she touched) of the gloves she had been using, the gloves did not have any holes.This suggests the contamination did not come from inside the glove box, but from some other source, in other words, someone was trying to poison her. The next morning, as she headed to a union negotiation meeting, she again tested positive for plutonium.This was surprising because she had only performed paperwork duties that morning. She was given a more intense decontamination. The following day, November 7, 1974, as she entered the plant, she was found to be dangerously contaminated — even expelling contaminated air from her lungs.A health physics team accompanied her back to her home and found plutonium traces on several surfaces — especially in the bathroom and the refrigerator. The house was later stripped and decontaminated.Silkwood, her partner and housemate were sent to Los Alamos National Laboratory for in-depth testing to determine the extent of the contamination in their bodies.Later that evening, Silkwood’s body was found in her car, which had run off the road and struck a culvert. The car contained no documents. She was pronounced dead at the scene from a “classic, one-car sleeping-driver accident”. 28.Operation Paperclip: Operation Paperclip was the code name for the 1945 Office of Strategic Services, Joint Intelligence Objectives Agency recruitment of German scientists from Nazi Germany to the U.S. after VE Day. President Truman authorized Operation Paperclip in August 1945; however he expressly ordered that anyone found “to have been a member of the Nazi party and more than a nominal participant in its activities, or an active supporter of Nazi militarism” would be excluded.These included Wernher von Braun, Arthur Rudolph and Hubertus Strughold, who were all officially on record as Nazis and listed as a “menace to the security of the Allied Forces.” All were cleared to work in the U.S. after having their backgrounds “bleached” by the military; false employment histories were provided, and their previous Nazi affiliations were expunged from the record. The paperclips that secured newly-minted background details to their personnel files gave the operation its name. The Commonwealth of Nations was created in 1949 but it would only be a free association of independent states rather than the powerful imperial federation imagined by Rhodes, Milner and Curtis.The Council on Foreign Relations began in 1917 with a group of New York academics who were asked by President Woodrow Wilson to offer options for the foreign policy of the United States in the interwar period. Originally envisioned as a British-American group of scholars and diplomats, some of whom belonging to the Round Table movement, it was a subsequent group of 108 New York financiers, manufacturers and international lawyers organized in June 1918 by Nobel Peace Prize recipient and U.S. secretary of state, Elihu Root, that became the Council on Foreign Relations on 29 July 1921.The first of the council’s projects was a quarterly journal launched in September 1922, called Foreign Affairs. 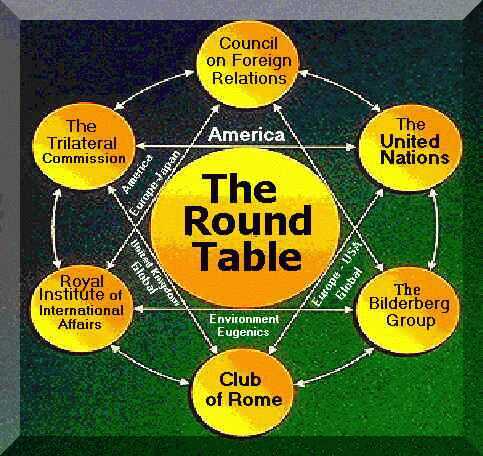 Some believe that the Council on Foreign Relations is a front organization for the Round Table as a tool of the “Anglo-American Establishment”, which they believe has been plotting from 1900 on to rule the world. The research findings of historian Carroll Quigley, author of the 1966 book Tragedy and Hope, are taken by both conspiracy theorists of the American Old Right (Cleon Skousen) and New Left (Carl Oglesby) to substantiate this view, even though he argued that the Establishment is not involved in a plot to implement a one-world government but rather British and American benevolent imperialism driven by the mutual interests of economic elites in the United Kingdom and the United States.Quigley also argued that, although the Round Table still exists today, its position in influencing the policies of world leaders has been much reduced from its heyday during World War I and slowly waned after the end of World War II and the Suez Crisis. 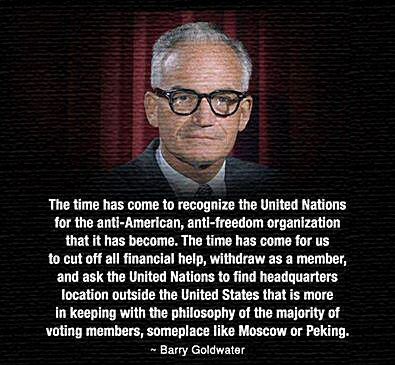 Barkun argues that this statement is partly facetious (the claim of “conspiracy” or “treason”) and partly serious – the desire to encourage trilateral cooperation among the U.S., Europe, and Japan, for example – an ideal that used to be a hallmark of the internationalist wing of the Republican Party when there was an internationalist wing.However, the statement is taken at face value and widely cited by conspiracy theorists as proof that the Council on Foreign Relations (itself alleged to be a front for an “international banking cabal”, as well as, it is claimed, the sponsor of many “globalist” think tanks such as the Trilateral Commission) uses its role as the brain trust of American presidents, senators and representatives to manipulate them into supporting a New World Order. Some American social critics, such as Laurence H. Shoup, argue that the Council on Foreign Relations is an “imperial brain trust”, which has, for decades, played a central behind-the-scenes role in shaping U.S. foreign policy choices for the post-WWII international order and the Cold War, by determining what options show up on the agenda and what options do not even make it to the table; while others, such as G. William Domhoff, argue that it is in fact a mere policy discussion forum, which provides the business input to U.S. foreign policy planning.The latter argue that it has nearly 3,000 members, far too many for secret plans to be kept within the group; all the council does is sponsor discussion groups, debates and speakers; and as far as being secretive, it issues annual reports and allows access to its historical archives. 30.The Illuminati: The Order of the Illuminati was an Enlightenment-age secret society founded on May 1st, 1776, in Ingolstadt (Upper Bavaria), by Adam Weishaupt, who was the first lay professor of canon law at the University of Ingolstadt. The movement consisted of freethinkers, secularists, liberals, republicans and pro-feminists, recruited in the Masonic Lodges of Germany, who sought to promote perfectionism through mystery schools. As a result, in 1785, the order was infiltrated, broken and suppressed by the government agents of Charles Theodore, Elector of Bavaria, in his campaign to neutralize the threat of secret societies ever becoming hotbeds of conspiracies to overthrow the monarchy and state religion. In the late 18th century, reactionary conspiracy theorists, such as Scottish physicist John Robison and French Jesuit priest Augustin Barruel, began speculating that the Illuminati survived their suppression and became the masterminds behind the French Revolution and the Reign of Terror.The Illuminati were accused of being enlightened absolutists who were attempting to secretly orchestrate a world revolution in order to globalize the most radical ideals of the Enlightenment: anti-clericalism, anti-monarchism, and anti-patriarchalism. During the 19th century, fear of an Illuminati conspiracy was a real concern of European ruling classes, and their oppressive reactions to this unfounded fear provoked in 1848 the very revolutions they sought to prevent.Although many say that the Illuminati was disbanded and destroyed so long ago, it is well known that the Rothschild dynasty following the family’s involvement in the secret order in Bavaria received much attention for its major takeover of Europe’s central banks.The Rothschild dynasty owns roughly half of the world’s wealth and evidence suggests it has funded both sides of major wars, including the United States Civil War. 32.Big Brother or the Shadow Government: It is also called the “Deep State” by Peter Dale Scott, a professor at the University of California, Berkeley. A shadow government is a “government-in-waiting” that remains in waiting with the intention of taking control of a government in response to some event. It turned out this was true on 9/11, when it was told to us by our mainstream media. For years, this was ridiculed as a silly, crazy conspiracy theory and, like the others listed here, turned out to be 100% true.It is also called the Continuity of Government. The Continuity of Government (COG) is the principle of establishing defined procedures that allow a government to continue its essential operations in case of nuclear war or other catastrophic event. Since the end of the cold war, the policies and procedures for the COG have been altered according to realistic threats of that time. These include but are not limited to a possible coup or overthrow by right wing terrorist groups, a terrorist attack in general, an assassination, and so on. Believe it or not the COG has been in effect since 2001. After 9/11, it went into action. Now here is the kicker, many of the figures in Iran Contra, the Watergate Scandal, the alleged conspiracy to assassinate Kennedy, and many others listed here are indeed members of the COG. This is its own conspiracy as well.March 1, 2002 News Clip on Secret Government: The Secret Team: The CIA and Its Allies in Control of the United States and the World is a book written by Air Force Col. L fletcher Prouty, published in 1973. From 1955 to 1963 Prouty was the “Focal Point Officer” for contacts between the CIA and the Pentagon on matters relating to military support for “black operations” but he was not assigned to the CIA and was not bound by any oath of secrecy. (From the first page of the 1974 Printing) It was one of the first tell-all books about the inner workings of the CIA and was an important influence on the Oliver Stone movie JFK. He is not the first to allege that UFOs and Aliens are going to be used as a threat against the world to globalize the planet under One government.March 1, 2002 report on Secret Government: The Report From Iron Mountain is a book, published in 1967 (during the Johnson Administration) by Dial Press, that states that it is the report of a government panel. According to the report, a 15-member panel, called the Special Study Group, was set up in 1963 to examine what problems would occur if the U.S. entered a state of lasting peace. They met at an underground nuclear bunker called Iron Mountain (as well as other, worldwide locations) and worked over the next two years. Iron Mountain is where the government has stored the flight 93 evidence from 9/11. A member of the panel, one “John Doe”, a professor at a college in the Midwest, decided to release the report to the public. The heavily footnoted report concluded that peace was not in the interest of a stable society, that even if lasting peace “could be achieved, it would almost certainly not be in the best interests of society to achieve it.” War was a part of the economy.Therefore, it was necessary to conceive a state of war for a stable economy. The government, the group theorized, would not exist without war, and nation states existed in order to wage war. War also served a vital function of diverting collective aggression. They recommended that bodies be created to emulate the economic functions of war. They also recommended “blood games” and that the government create alternative foes that would scare the people with reports of alien life-forms and out of control pollution.Another proposal was the reinstitution of slavery. U.S. News and World Report claimed in its November 20, 1967 issue to have confirmation of the reality of the report from an unnamed government official, who added that when President Johnson read the report, he ‘hit the roof’ and ordered it to be suppressed for all time. Additionally, sources were said to have revealed that orders were sent to U.S. embassies, instructing them to emphasize that the book had no relation to U.S. Government policy.Project Blue Beam is also a common conspiracy theory that alleges that a faked alien landing would be used as a means of scaring the public into whatever global system is suggested. Some researchers suggest the Report from Iron Mountain might be fabricated, others swear it is real.Bill Moyers, the American journalist and public commentator, has served as White House Press Secretary in the United States President Lyndon B. Johnson Administration from 1965 to 1967. He worked as a news commentator on television for ten years. Moyers has had an extensive involvement with public television, producing documentaries and news journal programs.He has won numerous awards and honorary degrees. He has become well known as a trenchant critic of the U.S. media. Since 1990, Moyers has been President of the Schumann Center for Media and Democracy.He is considered by many to be a very credible outlet for the truth. He released a documetnary titled, The Secret Government, which exposed the inner workings of a secret government much more vast that most people would ever imagine. Though originally broadcast in 1987, it is even more relevant today. Interviews with respected top military, intelligence, and government insiders reveal both the history and secret objectives of powerful groups in the hidden shadows of our government.Here is that documentary: For another powerful, highly revealing documentary on the manipulations of the secret government produced by BBC, click here (view free at link provided). The intrepid BBC team clearly shows how the War on Terror is largely a fabrication. For those interested in very detailed information on the composition of the shadow or secret government from a less well-known source, take a look at the summary available here. 33.The Federal Reserve Bank: The fundamental promise of a central bank like the Federal Reserve is economic stability. The theory is that manipulating the value of the currency allows financial booms to go higher, and crashes to be more mild. If growth becomes speculative and unsustainable, the central bank can make the price of money go up and force some deleveraging of risky investments – again, promising to make the crashes more mild. The period leading up to the American revolution was characterized by increasingly authoritarian legislation from England.Acts passed in 1764 had a particularly harsh effect on the previously robust colonial economy. The Sugar Act was in effect a tax cut on easily smuggled molasses, and a new tax on commodities that England more directly controlled trade over. The navy would be used in increased capacity to enforce trade laws and collect duties. 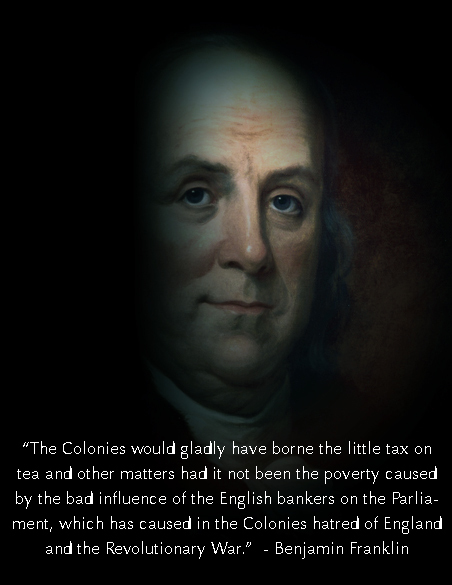 Perhaps even more significant than the militarization and expansion of taxes was the Currency Act passed later in the year 1764. Following the (first) American Revolution, the “First Bank of the United States” was chartered to pay off collective war debts, and effectively distribute the cost of the revolution proportionately throughout all of the states. Although the bank had vocal and harsh skeptics, it only controlled about 20% of the nation’s money supply.Compared to today’s central bank, it was nothing. 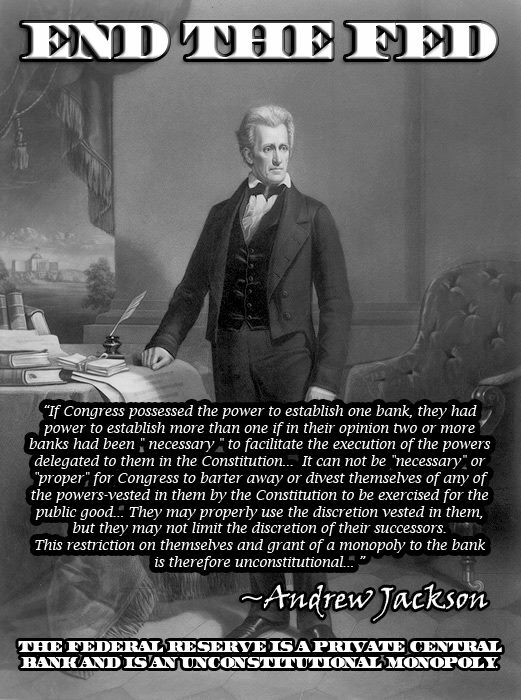 Thomas Jefferson argued vocally against the institution of the bank, mostly citing constitutional concerns and the limitations of government found in the 10th amendment. There was one additional quote that hints at the deeper structural flaw of a central bank in a supposedly free capitalist economy. “the existing banks will, without a doubt, enter into arrangements for lending their agency, and the more favorable, as there will be a competition among them for it; whereas the bill delivers us up bound to the national bank, who are free to refuse all arrangement, but on their own terms, and the public not free, on such refusal, to employ any other bank” –Thomas Jefferson.Basically, the existing banks will fight over gaining favor with the central bank – rather than improving their performance relative to a free market. The profit margins associated with collusion would obviously outweigh the potential profits gained from legitimate business. The Second Bank of the United States was passed five years after the first bank’s charter expired. An early enemy of central banking, President James Madison, was looking for a way to stabilize the currency in 1816. This bank was also quite temporary – it would only stay in operation until 1833 when President Andrew Jackson would end federal deposits at the institution. The charter expired in 1836 and the private corporation was bankrupt and liquidated by 1841. While the South had been the major opponent of central banking systems, the end of the Civil War allowed for (and also made necessary) the system of national banks that would dominate the next fifty years. The Office of the Comptroller of the Currency (OCC) says that this post-war period of a unified national currency and system of national banks “worked well.”Taxes on state banks were imposed to encourage people to use the national banks – but liquidity problems persisted as the money supply did not match the economic cycles. Overall, the American economy continued to grow faster than Europe, but the period did not bring economic stability by any stretch of the imagination. 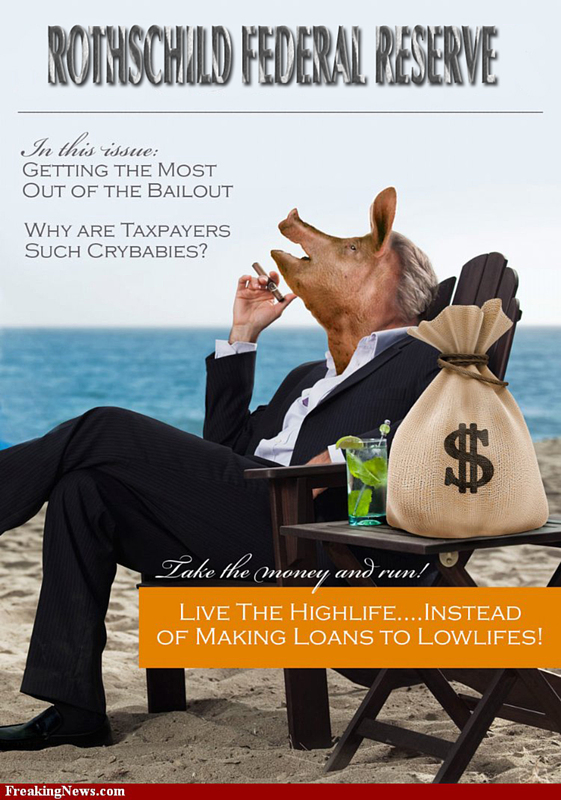 Several panics and runs on the bank – and it became a fact of life under this system of competing nationalized banks. In 1873, 1893, 1901, and 1907 significant panics caused a series of bank failures.The new system wasn’t stable at all, in fact, many suspected it was wraught with fraud and manipulation. The Federal Reserve Bank of Minneapolis is not shy about attributing the causes of the Panic of 1907 to financial manipulation from the existing banking establishment. “If Knickerbocker Trust would falter, then Congress and the public would lose faith in all trust companies and banks would stand to gain, the bankers reasoned.” In timing with natural economic cycles, major banks including J.P. Morgan and Chase launched an all-out assault on Heinze’s Knickerbocker Trust. They had senators, congressmen, lobbyists, media moguls all working for them. In 1886, a group of millionaires purchased Jekyll Island and converted it into a winter retreat and hunting ground, the USA’s most exclusive club. By 1900, the club’s roster represented 1/6th of the world’s wealth. Names like Astor, Vanderbilt, Morgan, Pulitzer and Gould filled the club’s register. Non- members, regardless of stature, were not allowed.Dignitaries like Winston Churchill and President McKinley were refused admission. In 1908, the year after a national money panic purportedly created by J. P. Morgan, Congress established, in 1908, a National Monetary Authority. In 1910 another, more secretive, group was formed consisting of the chiefs of major corporations and banks in this country. The group left secretly by rail from Hoboken, New Jersey, and traveled anonymously to the hunting lodge on Jekyll Island. In fact, the Clubhouse/hotel on the island has two conference rooms named for the “Federal Reserve.” The meeting was so secret that none referred to the other by his last name. Why the need for secrecy?Frank Vanderlip wrote later in the Saturday Evening Post, “…it would have been fatal to Senator Aldrich’s plan to have it known that he was calling on anybody from Wall Street to help him in preparing his bill…I do not feel it is any exaggeration to speak of our secret expedition to Jekyll Island as the occasion of the actual conception of what eventually became the Federal Reserve System.” At Jekyll Island, the true draftsman for the Federal Reserve was Paul Warburg.The plan was simple. The new central bank could not be called a central bank because America did not want one, so it had to be given a deceptive name. Ostensibly, the bank was to be controlled by Congress, but a majority of its members were to be selected by the private banks that would own its stock. To keep the public from thinking that the Federal Reserve would be controlled from New York, a system of twelve regional banks was designed. 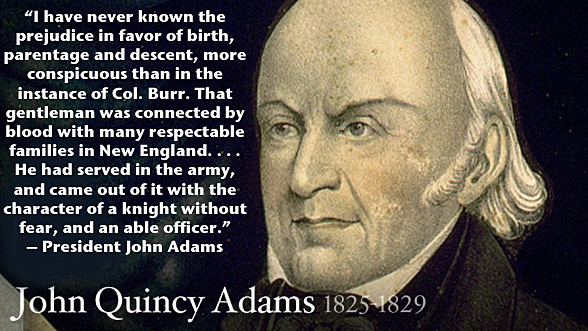 Given the concentration of money and credit in New York, the Federal Reserve Bank of New York controlled the system, making the regional concept initially nothing but a ruse.The board and chairman were to be selected by the President, but in the words of Colonel Edward House, the board would serve such a term as to “put them out of the power of the President.” The power over the creation of money was to be taken from the people and placed in the hands of private bankers who could expand or contract credit as they felt best suited their needs. Why the opposition to a central bank? Americans at the time knew of the destruction to the economy the European central banks had caused to their respective countries and to countries who became their debtors.They saw the large- scale government deficit spending and debt creation that occurred in Europe. But European financial moguls didn’t rest until the New World was within their orbit. In 1902, Paul Warburg, a friend and associate of the Rothschilds and an expert on European central banking, came to this country as a partner in Kuhn, Loeb and Company. He married the daughter of Solomon Loeb, one of the founders of the firm. The head of Kuhn, Loeb was Jacob Schiff, whose gift of $20 million in gold to the struggling Russian communists in 1917 no doubt saved their revolution. The Fed controls the banking system in the USA, not the Congress nor the people indirectly (as the Constitution dictates). 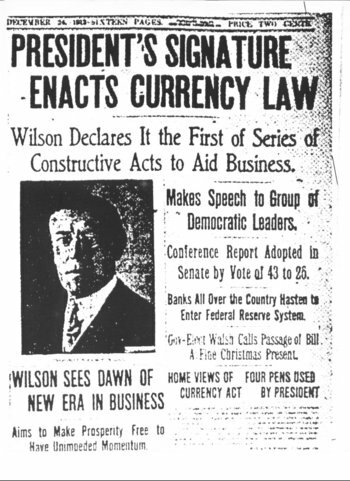 The U.S. central bank strategy is a product of European banking interests.Government interventionists got their wish in 1913 with the Federal Reserve (and income tax amendment). Just in time, too, because the nation needed a new source of unlimited cash to finance both sides of WW1 and eventually our own entry to the war. After the war, with both sides owing us debt through the federal reserve backed banks, the center of finance moved from London to New York. But did the Federal Reserve reign in the money trusts and interlocking directorates? Not by a long shot. If anything, the Federal Reserve granted new powers to the National Banks by permitting overseas branches and new types of banking services. The greatest gift to the bankers, was a virtually unlimited supply of loans when they experience liquidity problems.From the early 1920s to 1929, the monetary supply expanded at a rapid pace and the nation experienced wild economic growth. Curiously, however, the number of banks started to decline for the first time in American history. Toward the end of the period, speculation and loose money had propelled asset and equity prices to unreal levels. 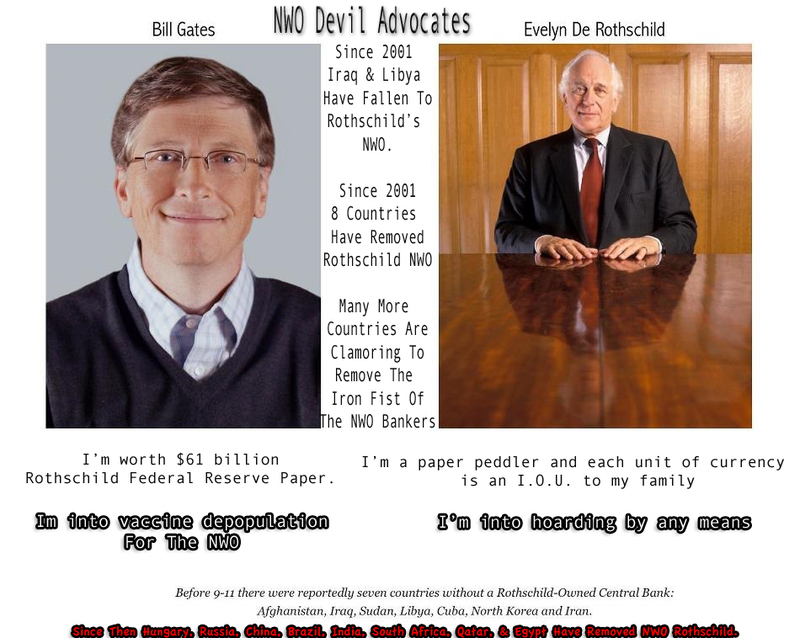 Why Western Democracy Is Mind Control And Invisible Government: Rothschild Banking Mafia. Pravda.Ru.